Food journaling app Burpple has furthered its focus on social and location after it introduced Explore, a feature that brings Foursquare-like discovery and friend-finding to the service. Burpple, for those that are not aware, is a 6-month-old service where food lovers can snap, post and share food/drink-related snaps from their iOS smartphone. It’s based out of Singapore and, as well as English, it has been localized in Chinese and Japanese and integrates with Instagram. Burpple Explore, which is initially just for the iPhone and iPod Touch, puts photos — which can already be tagged by location — on to a visible map through which users can discover restaurants and tips that have been posted by others. 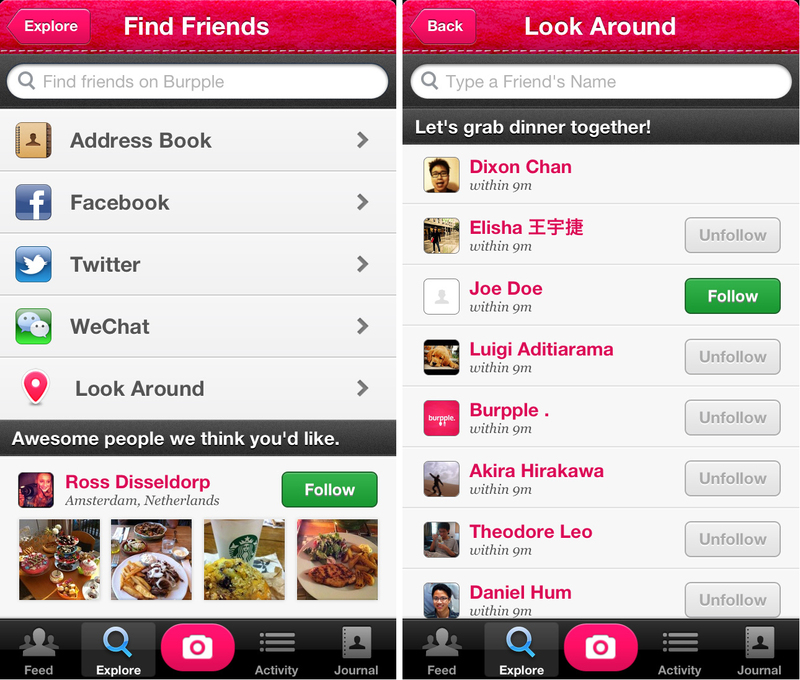 Using location and the map, Burpple users can find local restaurants that are near them via the Explore feature. That addition is paired with a new friend finding features which lets users find their buddies using a range of social services — Facebook, Twitter, Chinese mobile chat app WeChat — as well as users’ address book and also, importantly, their location. We have made it extremely simple for you to find out what’s great in the restaurant you’re at. Can’t decide between the eggs benedict or the French toast? 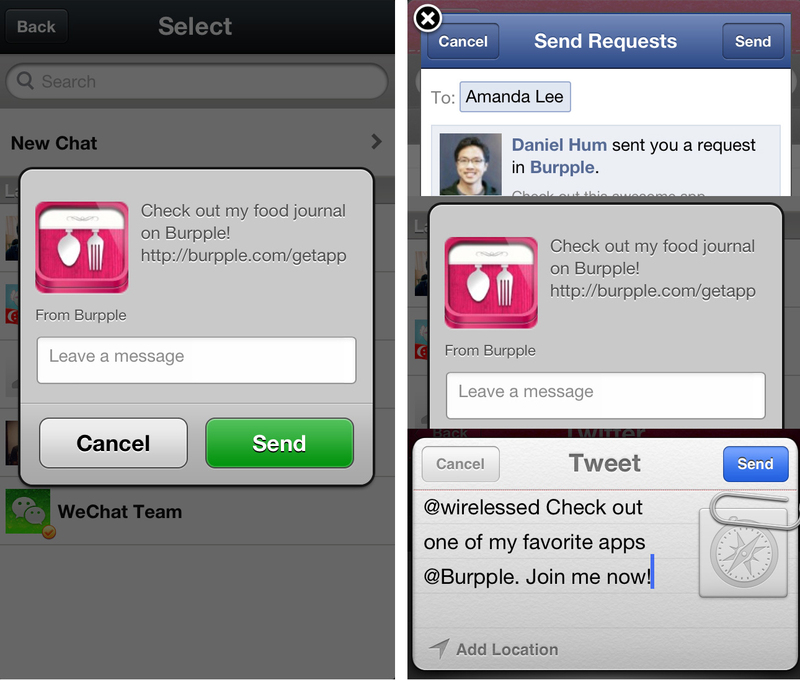 Burpple will instantly suggest the name of the restaurant you’re at, and show you what other users have eaten and liked. As someone who regularly uses Burpple, the discovery features bring new value. 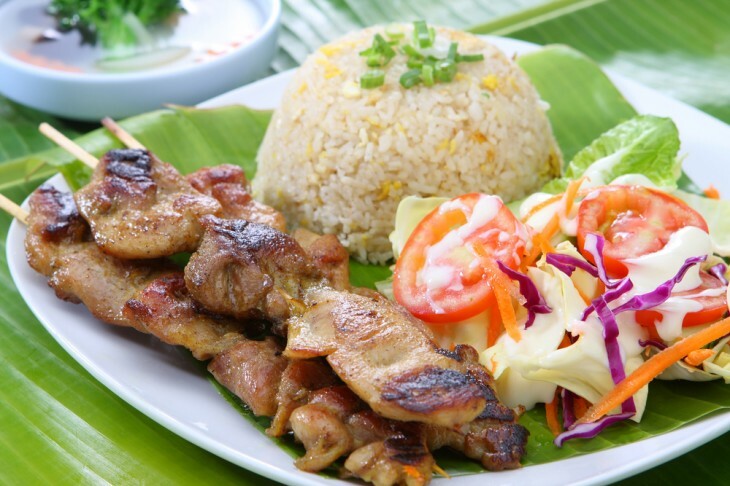 Foursquare remains an excellent resource for finding a number of different services, but Burpple’s specialism in food will make it an interesting option in countries and cities where it has gained good traction. For now, the company hasn’t revealed raw user figures, beyond that its user base has posted 150,000 ‘food moments’ — photos that are accompanied by a title, comment and location — to date. The company says it has seen strong uptake in Asian markets like Singapore, Thailand, Indonesia and Japan. China remains a big focus for the company — leaning on the founder’s knowledge of the language — and its addition of Tencent’s hit app WeChat — which has more than 200 million — is another nice addition that could help it gain further traction among existing and new users in China. Burpple’s team tells me that an Android version is (finally) coming soon. “Our team is currently working on it and you should expect it early next year,” co-founder Dixon Chan promises.